For online mastering, please upload WAV or AIFF file formats only. Please make sure your files are properly formatted with the .aif or .wav file extension. Sample rate can be 44.1kHz, 48kHz, 88.2kHz, or 96kHz, and bit depth can be 16 bit, 24 bit, or 32 bit. We strongly advise against using any compressed file formats such as MP3 or MP4, as these degrade the sound quality of your music. We prefer to work with high resolution, uncompressed files as described above, to preserve the integrity of your songs. Tracks should not have overall audio compression or EQ applied, and should not be normalized. We'll do that work for you, and it sounds better when it's handled in mastering. Please leave plenty of headroom in your mixes, and do not clip in the red in your files. For stem mastering uploads, please verify that all audio files to be combined into a stereo master start at zero on the timeline, so they all line up with each other. 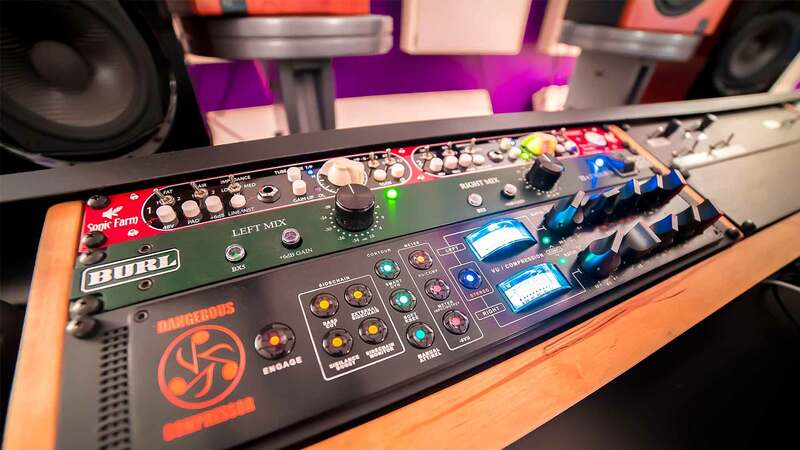 In addition to any notes you provide us here, we will send you a few questions to gather up the details we need to properly finish your mastering to your specifications. Files are not complete until the "green light" turns on… please wait for that, and thank you for your upload!